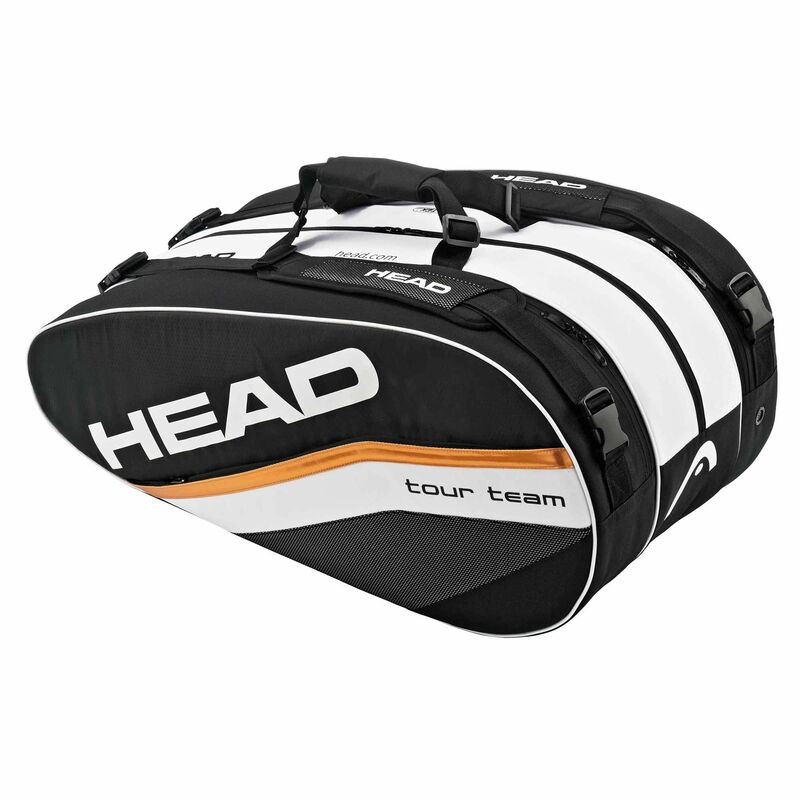 The Head Djokovic Monstercombi racket bag is an ideal bag for tournament players with its spacious racket compartment that can hold up to 12 rackets and a small front zipper pocket for additional accessories. The CCT+ technology provides protection against extreme temperatures and padded adjustable shoulder straps offer comfortable transportation of the gear. for submitting product review about Head Djokovic Monstercombi Racket Bag 2012.